Tenant organizations, housing rights groups and other supporters gathered in front of San Francisco’s City Hall this afternoon before filing a November ballot measure to impose a surtax on real estate speculators. 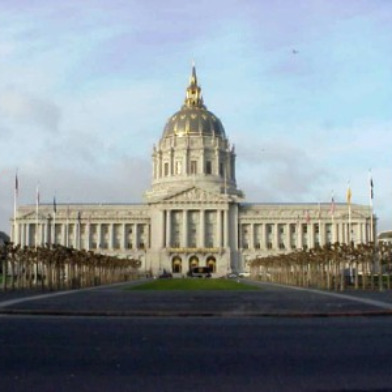 San Francisco supervisors Eric Mar, Jane Kim, and David Campos joined community members, tenants and other supporters on the steps of City Hall to champion the proposed measure that will appear on the November ballot. Supervisor John Avalos also shared his support of the measure, but was not able to attend the afternoon rally. The anti-speculation tax ballot measure would impose a gradual real estate transfer tax on any short-term flip of property if a property is bought and sold in less than five years. If the re-sale falls within one year of the purchase the tax would be 24 percent of the re-sale price; for two years it would be 22 percent; three years it would be 20 percent; four years, 18 percent; and finally at five years, 14 percent. Proponents of the tax hope it will reduce incentives for speculators to target and flip houses, especially rent-controlled units and other units that are part of the shrinking housing supply in San Francisco, organizers said. He noted that assassinated Supervisor Harvey Milk had been working on a similar housing measure before his death in 1978. “This is consistent with the history of our community,” Campos said. “Let’s send a very loud message that our city is not for sale,” Campos told the crowd, many part of the San Francisco Anti-Displacement Coalition. The Coalition includes members from the Alliance of Californians for Community Empowerment, Central City SRO Collaborative, Chinatown Community Development Corporation, Coalition of Community Housing Organizations, Harvey Milk LGBT Club and SF Rising. According to Supervisor Kim, the measure has come at a time when the housing bubble is growing because of speculators flipping homes. “This ordinance is targeting their greed,” Kim said of the speculators. 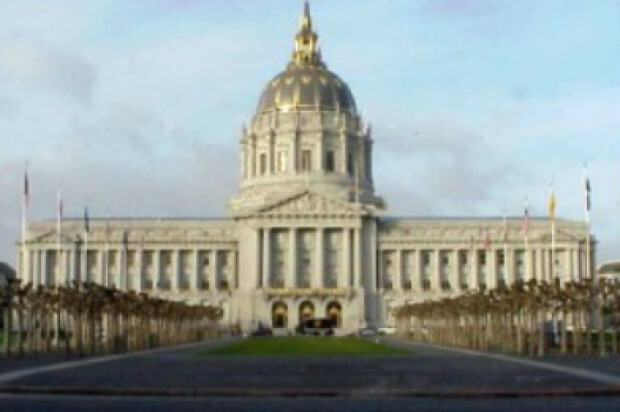 Ted Gullicksen, the executive director of the San Francisco Tenants Union, led the crowd into City Hall to officially file the ballot measure. Under the measure, there would be exemptions for new construction, properties being turned into affordable housing, buildings with more than 30 units and any homes not being resold at a profit, single-family homes, condominiums and owner-occupied tenancy in common, or TIC, units. The measure was filed by today’s 5 p.m. deadline for four or more supervisors, or the mayor, to submit a proposed ordinance.